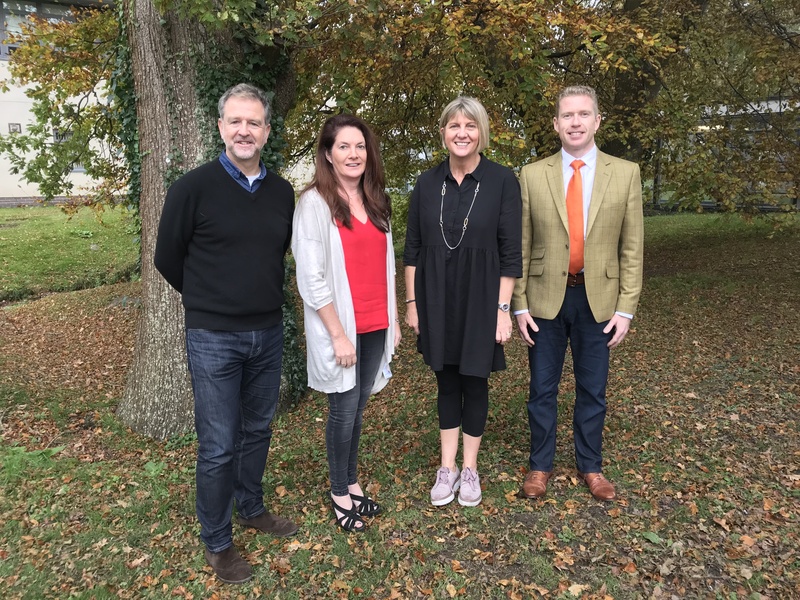 With less than two years to go until the National Eisteddfod is held in Conwy County in August 2019, last weekend saw the four officials who will lead the work over the coming months elected. Trystan Lewis, a well known name in the eisteddfod world and in Llandudno, was elected as Chair of the Executive Committee, and will lead the team over the next eighteen months. Originally from Deganwy, Trystan is a well known musician and businessman, who runs Siop Lewis in Llandudno. He conducted Côr Meibion Maelgwn for years, and is part of a number of projects to inspire and encourage young local talents. He was already a member of the National Eisteddfod Council. Siân Eirian is the Vice Chair for the 2019 Eisteddfod. A former director of Eisteddfod yr Urdd, she was S4C’s Children’s Programmes Commissioner during the period when the Cyw and Stwnsh services were launched. She currently manages her own company providing consultancy services in the arts, media and the Welsh language. Catherine Jones was elected as Secretary of the Executive Committee. She is Head of Progress and the Welsh Baccalaureate co-ordinator at Ysgol Glan Clwyd, and is a regular volunteer with both the National Eisteddfod and the Urdd. She has experience organising local eisteddfodau rounds and is a respected presenter at county eisteddfodau. She has produced and directed Urdd shows and was an integral part of the production team for the Urdd Youth Theatre show, Les Miserables. Dylan Rhys Jones will chair the festival’s Finance Committee. He is chair of governors at Ysgol Glan Morfa, Abergele, and a former member of the North Wales Arts Council and the Theatr Genedlaethol Cymru Board. He served as Vice-Chair at the Urdd Eisteddfod in Conwy County in 2008, and has experience working with the Urdd. He has worked on programmes for BBC and S4C and co-ordinates the Welsh Baccalaureate across Coleg Cambria. Welcoming the team, Eisteddfod Organiser Elen Elis said, “This is a great team to lead the work in Conwy. The four will bring all kinds of skills to the project and I’m confident they’re a strong base for the work needed to be done over the coming months. The National Eisteddfod will be held in Conwy County from 2-10 August 2019. The Maes’ location will be announced before long. For more information go online, www.eisteddfod.wales. PHOTO: (l-r) – Dylan Rhys Jones, Siân Eirian, Catherine Jones, Trystan Lewis.